Experts share their tips on how to best update your bathroom. What: Wallpaper can work well in a half-bath space for a dramatic refresh. Here are his five tips on how to do it right. Farrow & Ball wallpaper is available at Maria Toms. 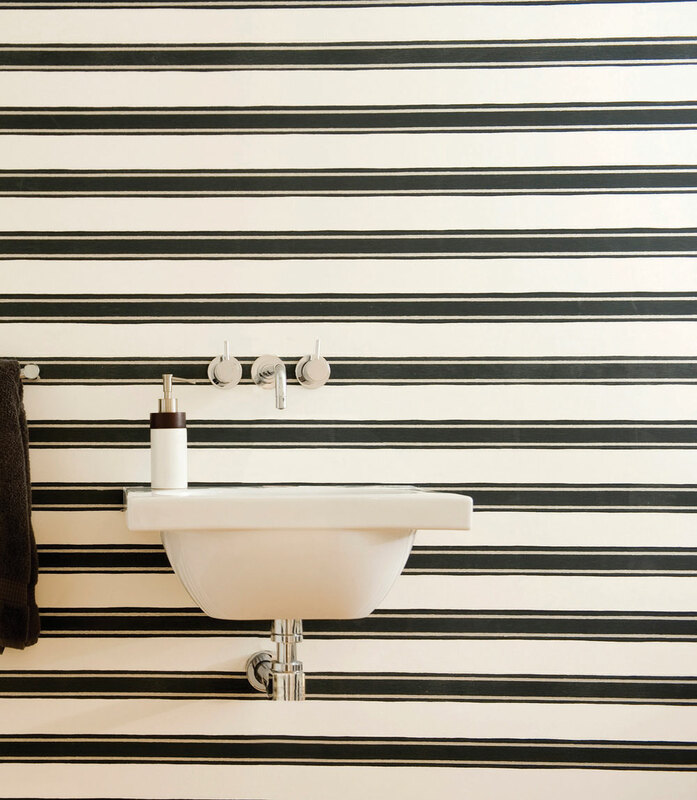 Avoid wallpapering the wall next to the toilet and also behind the sink – anywhere there’s potential for splash back. Grasscloth wallpaper is not washable, so isn’t the best bathroom option. You might be able to spot clean it with a gently dampened sponge, but very rarely. Regular wallpaper does have a protective coating and can be cleaned, but not with bleach-based product. One roll of wallpaper will generally be enough for one powder room. Go big and go wild in terms of scale of print. There are lots of gilded and flocked and metallic wallpapers. Have fun. 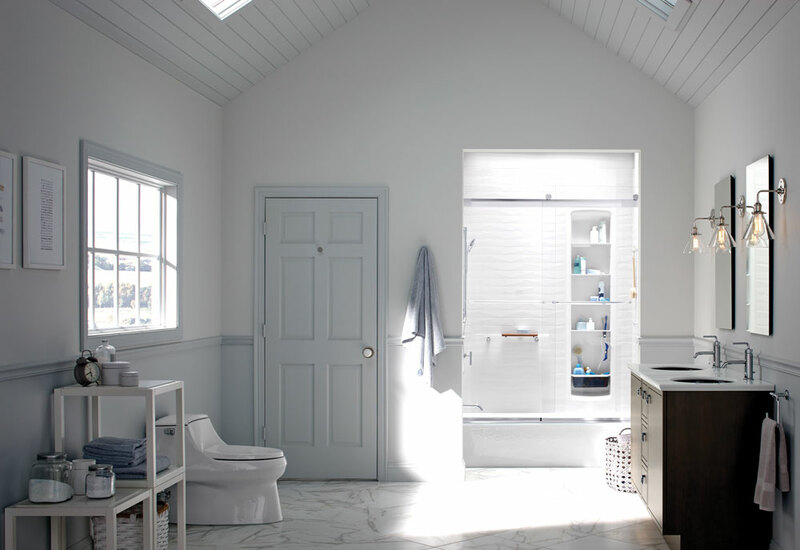 Kohler’s Calgary showroom is at Robinson Lighting & Bath Centre. Who: Jeannie Sturdy, owner of Sturdy Design Co.
What: Five things every luxury bathroom needs. Marble offers an organic, natural feel, but faux marble or stone is a better option, especially in something like a steam shower. Laminam is a thin porcelain you can get in four-by-eight sheets. It’s super-strong and requires very little maintenance. Heated floors, heated shower benches, heated towel bars, heat in general. There are some pretty amazing tubs that offer chromatherapy, where you can program different coloured LED lights in your bathtub to suit your mood. TVs are being built into mirrors and some of the shower fixtures out there are really amazing. Kohler makes one where each user can pre-program the temperature, body spray and overhead spray. Consider adding seating, like a small chaise or a comfortable occasional chair covered in terrycloth fabric. Select a vanity that is a furniture-type piece or is a bit more contemporary in a floating style. What: How Gillis achieves a bold, modern look in the bathroom.